This is a welll appointed 2500 S.F., 2 story apartment townhouse completetely redesigned, facing the JW Marriott Turnberry Hotel and Golf. The apt was designed as a 3 bedroom 3 bath and is currently 2/3, which can be easily modified back to 3/3. The 2nd floor loft could be an enclosed office, exercise room or play room, making this space a 4 room apt. The master bedroom and second bedroom have private balconies facing the golf course. The kitchen is well designed modern kitchen with European appliances. 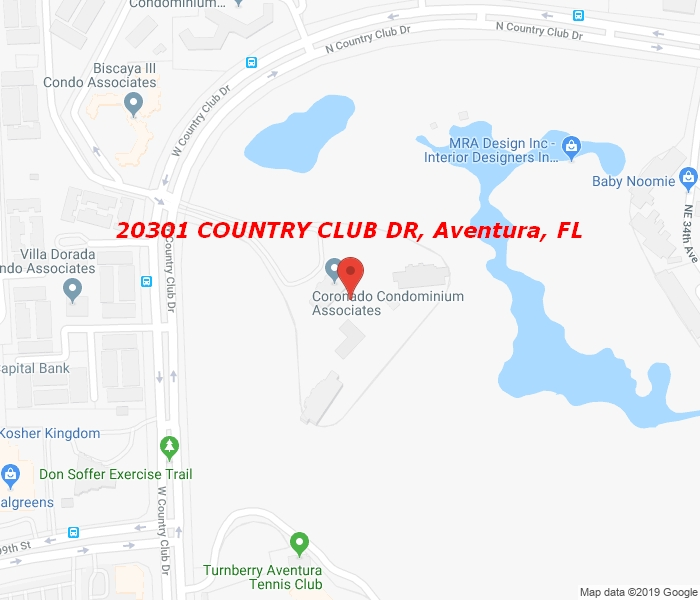 This is a must see unique space centrally located in Aventura. The building is being renovated with new lobbies, hallways, elevators and pool decks.